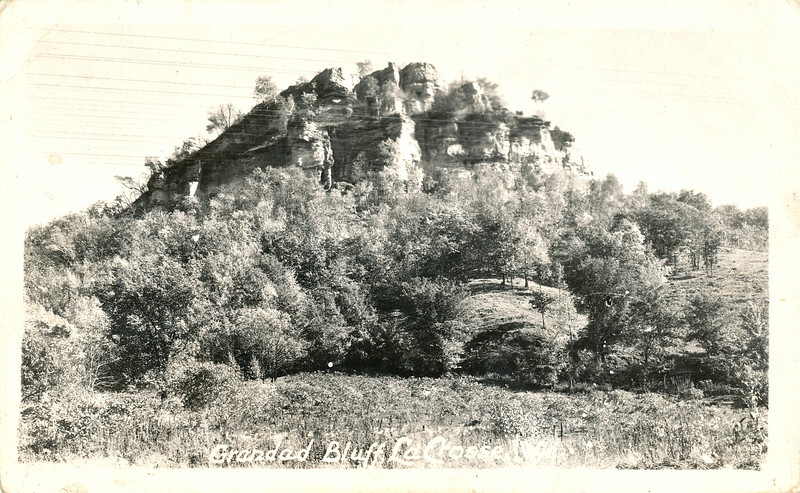 Postcard of Grandad Bluff in La Crosse sent to Irene Von Arx, Aug., 22, 1939 when she was at Gillette Hospital in St. Paul being treated for polio. He writes "Dear Irene, Emma and I are at La Crosse so I am sending you a card. Here is hoping that you get along fine. Hope to see you at home before the snow flys. Greetings from Emma and myself. Your Uncle W.J. Von Arx"